Democrats are scrambling to block the Supreme Court from ruling on New York City's concealed carry ban. 25% of Americans live in states that outlaw concealed carry, and Democrats want to keep it that way! Republicans are fighting back. There are now 37 Senate Republicans signed onto the Constitutional Concealed Carry Reciprocity Act. 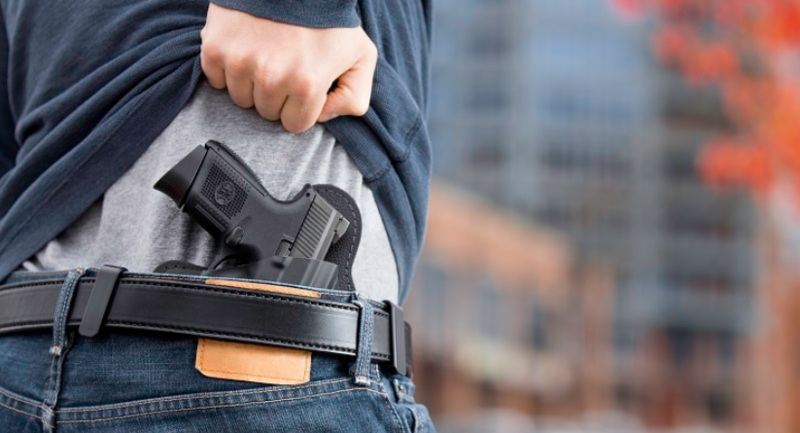 This would grant nationwide reciprocity to all resident carry permits and tear down more than a century's-worth of unconstitutional carry bans. This is our best chance to restore the 2nd Amendment to the Founders' intent. The Supreme Court has already ruled that the 2nd Amendment describes an individual right to self defense and that Americans have a right to bear (carry) firearms. The highest Court was set to hear another challenge to a New York gun control law this winter, but the City Council just rushed to change their statute to make the case against them moot. They know that their gun control laws are unconstitutional. They are just trying to cling to their carry bans for as long as possible. Why do you continue to allow a minority of states to infringe on this basic individual liberty? The Constitutional Concealed Carry Reciprocity Act protects the 2nd Amendment rights of individuals while respecting the 10th Amendment rights of states. But most importantly, it makes good on the 14th Amendment's promise that Congress will intervene any time states enforce laws that violate Americans' rights.